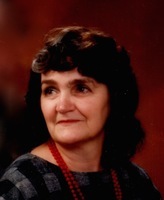 Provide comfort for the family of Margaret Cameron with a meaningful gesture of sympathy. Passed to a better place at Lakeridge Health Oshawa on January 14th, 2019 with family bedside. Oldest and 2nd mother of 15 siblings until marrying the love of her life, a career airman, who sometimes left her and the kids behind and sometimes dragged them across North America. Our Peggy managed to raise her 3 kids and work several part time jobs. Family meant everything. A careless T-Bone by a half-ton in January, 2005 started a snowball of mishaps that deprived her of her golden years. Peggy will be lovingly remembered by husband Rick and a multitude of a large family and friends for her love, thoughtfulness, guidance and just being there. A celebration of her life journey will be held at the NEWCASTLE FUNERAL HOME, 386 Mill St. S. Newcastle (905-987-3964) on Wednesday, May 8th, 2019 from 2:00 p.m. until 5:00 p.m., which would have been Peggy and Rick’s 65th anniversary. The family asks that you please dress casual. To send flowers in memory of Margaret Rose Cameron, please visit our Heartfelt Sympathies Store. Provide comfort for the family of Margaret Rose Cameron by sending flowers. Our sincere condolences go out to Richard and family. Peggy will surely be missed by the family. Love from your Carroll cousins: Sylvia, Faye, Sheldon (Butch), Norma, Ken and Ted.